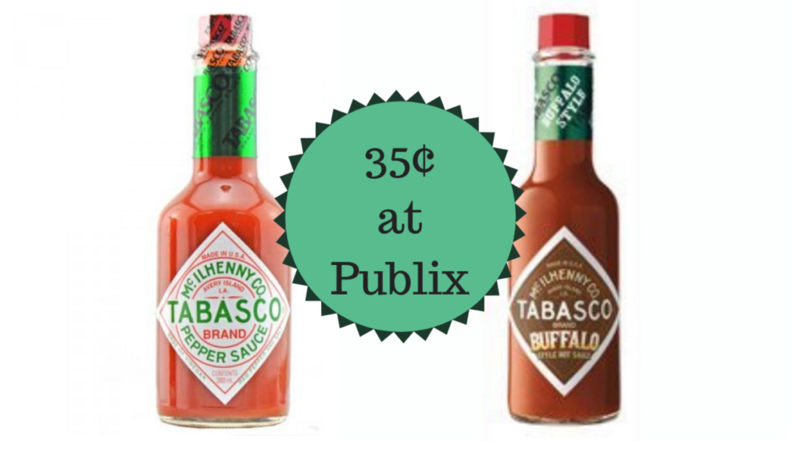 Grab a new Publix store coupon and a manufacturer coupon to get a great deal on hot sauce this week. Tabasco sauce is on sale for $2.50 a bottle in the new weekly ad that starts today. So print out your coupons and head in before 11/6 to get it for as low as 35¢ a bottle.